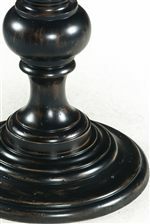 With a beautifully sculpted base and round top this accent table will make a lovely addition to your room décor. 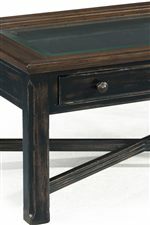 The table comes in an antique black with natural brown rub-through finish on the base which complements the cherry veneer top nicely. 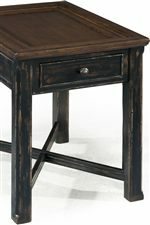 The sculpted base and distressed look of this round accent table makes it a stunning piece to add to any room in your home. 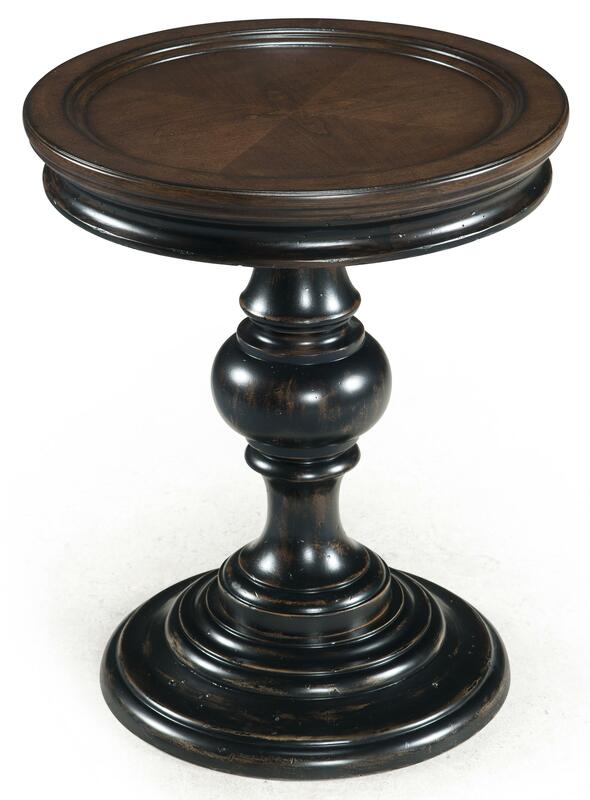 The Clanton Round Accent Table w/ Sculpted Base by Magnussen Home at Colder's Furniture and Appliance in the Milwaukee, West Allis, Oak Creek, Delafield, Grafton, and Waukesha, WI area. Product availability may vary. Contact us for the most current availability on this product. Create classic style in your living room with the addition of this occasional table set. This set is made of cherry veneers with hardwood solids and comes in an antique black finish with natural brown rub-through. Each piece in this set also has floor protectors to protect the floors of your home. Both cocktail tables feature a beautiful 5mm tempered glass top with 1 inch bevel. The single drawers found on the cocktail tables, end table, and sofa table are perfect for storing magazines, books, and remote controls. These pieces also have an X stretcher bottom which offers stylish support. Straight legs with slightly spade feet add visual appeal throughout the set. The round accent table is also an eye catcher with a sculpted base. 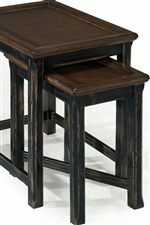 This occasional table set is sure to give your home timeless style. The Clanton collection is a great option if you are looking for Transitional furniture in the Milwaukee, West Allis, Oak Creek, Delafield, Grafton, and Waukesha, WI area.